Park Avenue School opened in 1883. At the time, the structure was 100' x 150'. The property was purchased for $3,900. The building was erected for $18,997.22. It had 13 classrooms, and a capacity for 614 pupils taught by a staff of 14. By 1920, the student body had grown to 765, and five classrooms were added. 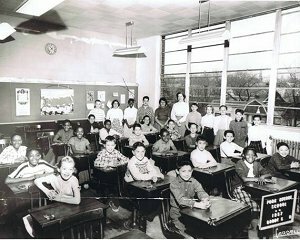 1946- Students developed citizenship skills by becoming Patrol members. 1947- Students made contributions to the Friendship Train. They collected 27 pounds of sugar, one pound of sweet potatoes, and many other items. 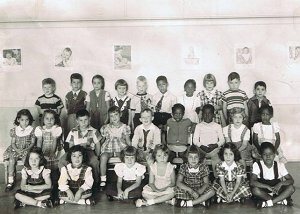 1948- Students at Park Avenue School wrote stories about their fathers who were overseas. 1957- A student attended a Yankee baseball game and shows his classmates the baseball he had signed by the whole team, including Mickey Mantle. 1973- Park Avenue received sports equipment from Al Attles, coach of the Golden State Warriors. 2007 - Park Avenue Elementary School moved to Mt. Carmel School while the school was remodeled. 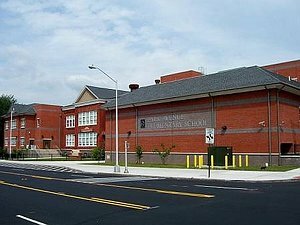 2009 - The NEW Park Avenue School was opened.